SEAM – the Small Explorer for Advanced Missions – is a 3U CubeSat mission developed and built by a number of European institutions as a science-grade mission for the measurement of magnetic and electric fields in Earth’s ionosphere with particular focus on designing a CubeSat platform suitable for a large range of missions in various scientific areas. The project involves parties in Sweden, Germany, Ukraine, Hungary, Denmark and Italy. The multi-national consortium brought together eight institutions with the overarching goal of developing a nanosatellite platform for advanced science missions that could enable small and medium enterprises to enter the high-end nanosatellite market. SEAM will be tasked with research in three areas by measuring three components of the AC and DC magnetic fields and one component of the AC electric field in the ionosphere to characterize the current systems driving auroral displays, and monitoring VLF and ELF wave modes of natural and anthropogenic origin. 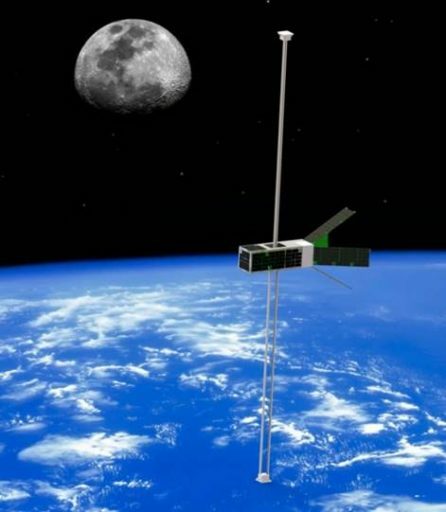 The prime design driver for SEAM was the critical requirement of creating an electromagnetically clean nanosatellite with precise pointing knowledge for the collection of science-grade magnetic and electric field data; a secondary driver was a capability for high speed data downlink which will be beneficial for a number of mission needs. SEAM employs a conventional aluminum frame that has been evaluated for the structural and magnetic requirements for this particular mission. 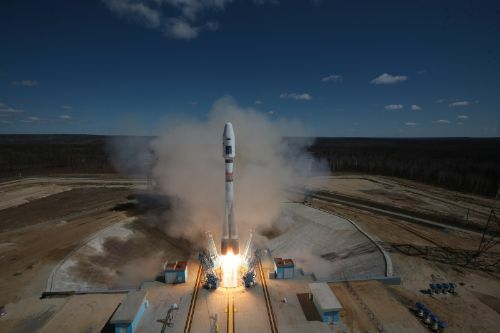 The Electric Power System of the SEAM satellite employs a commercially available GomSpace NanoPower P-series system with triple-junction photo-voltaic cells and a highly efficient boost converter to condition the cell output power that is routed to Li-Ion batteries. SEAM has four P110 solar panels, six P110U solar panels with built-in magnetotorquers and two custom-made 3U solar panels. Power provided by two buck-converters is 3.3 and 5.9 Volts, carried to the various satellite subsystems with over current and latch-up protection provided by controllable output switches. The onboard computer chosen for SEAM is the Nanomind A3200 as a next-generation Cube and NanoSatellite computer. It includes a three-axis magnetometer to sense the Earth’s magnetic field and coil-drivers provide control of the magnetic torquers incorporated in the solar panels. The OBC also hosts a three-axis gyroscope to assist in the measurement of body rates to feed into the attitude determination algorithms. For storage, the OBC has 128 MB of flash memory and an SD Card socket can be easily implemented in place of the flash to expand the satellite’s memory capacity. 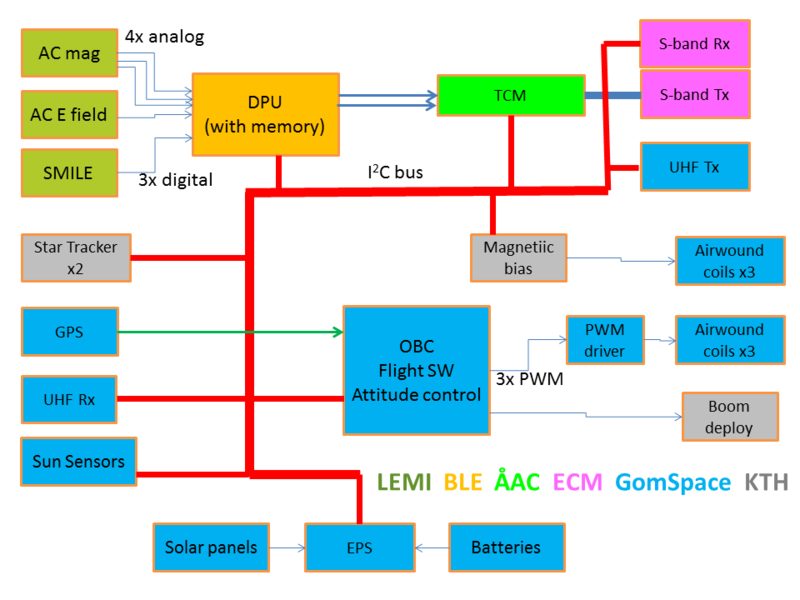 A 32kB FRAM provides non volatile storage and an I²C data bus is employed across the satellite to interconnect the Onboard Computer and all satellite subsystems. 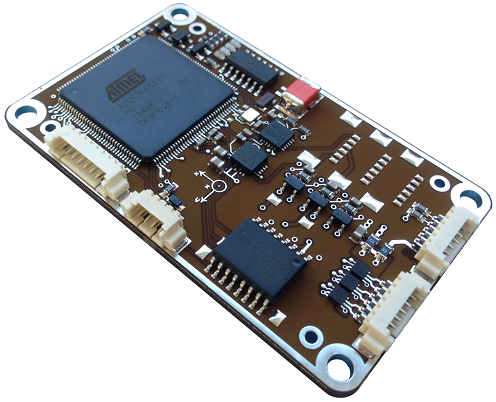 In addition to the magnetic and gyro sensors on the OBC board, SEAM also uses Sun Sensors and Star Trackers to obtain fine attitude data required as auxiliary data for the magnetic field vector measurements by the payload. GPS is used for time synchronization and orbit determination. 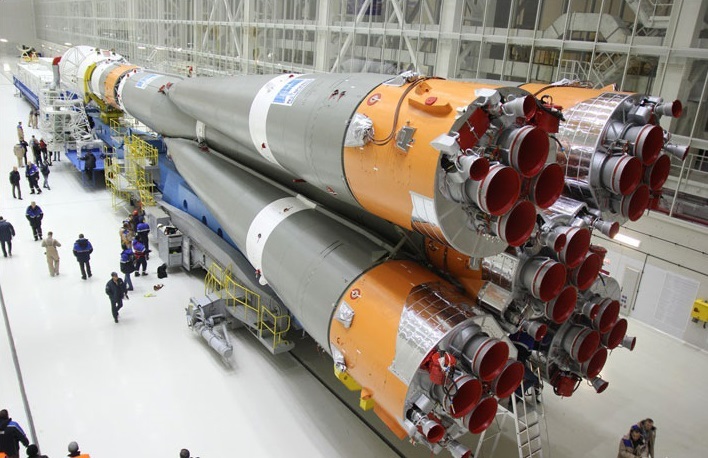 Mission communications (telemetry and telecommand) are handled via UHF, using a GomSpace AX100 transceiver featuring a half-duplex software configurable radio optimized for long-range communications. 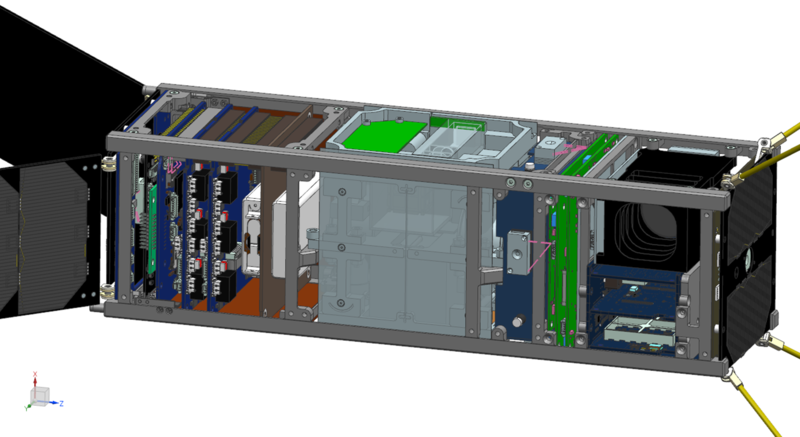 The science payload of the SEAM satellite has its own Data Processing Unit that interfaces with the three instruments, digitizes and stores their data for later downlink to the ground, featuring a 16GB non-volatile memory. Payload data downlink is completed in S-Band, using an ECM Slink-Phy S-Band transceiver capable of a downlink speed of up to 20Mbps at 2,200 to 2,290 MHz using CCSDS data standard. 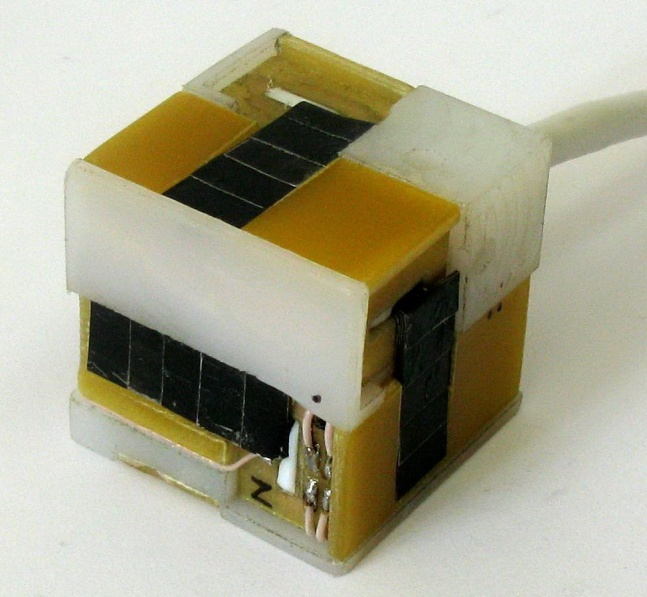 The payload of the SEAM satellite comprises a fluxgate magnetometer for DC magnetic field measurements, a novel AC magnetic sensor and an AC electric sensor. The DC fluxgate magnetometer employs an advanced design for noise reduction and introducing new low-noise electronic components in the signal chain. 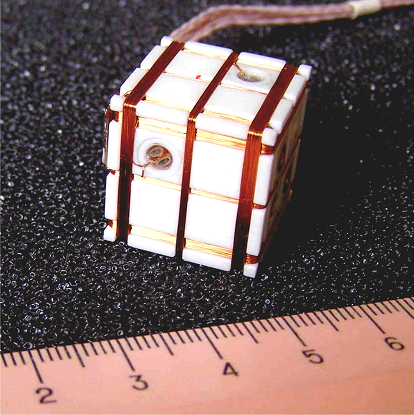 The cubical sensor is just 20 x 20 x 21 millimeters in size and weighs 25 grams. It has a dynamic range of +/-64,000 nano Tesla with a resolution of 20 pico Tesla, obtaining 10 measurements per second. The novel miniature AC magnetic sensor was developed in two directions, using field concentrators for super-short cores and employing a new type of low-noise amplifier in an integrated sensor-amplifier system that reaches unprecedented noise characteristics for an instrument of this size. The search-coil magnetometer analog stages are conditioned together with the analog-to-digital converter. The induction magnetometer sensor is 38 x 38 x 38 millimeters in size and weighs 76 grams, covering a frequency range of 40 Hz to 20 kHz. The sensors reside on the end of a boom assembly consisting of two cantilevering booms using two counter-rotating spools with coiled bi-stable tape springs. When stowed, the boom assembly fits into a 10 by 9.5 by 8.0-centimeter envelope.